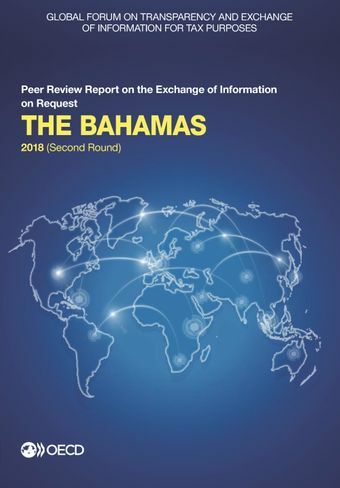 This report contains the 2018 Peer Review Report on the Exchange of Information on Request of the Bahamas. In its new peer review report, The Bahamas was rated as Largely Compliant with the international standard on transparency and exchange of information upon request. This is the same overall rating as The Bahamas received in the 2013 peer review report. However, the amount of issues identified where improvements are needed has increased. Most notably, the legal requirements in respect of the availability of beneficial ownership information do not cover all relevant entities and arrangements and should be clarified with respect to companies to ensure complete and accurate beneficial ownership information is available. Improvements are also needed in respect of the oversight on the obligations to keep legal ownership and accounting information. In terms of exchange of information, The Bahamas’ peers indicated they were generally satisfied with the information received for the review period (1 October 2013 to 30 September 2016). Although there have been some delays in sending the information, The Bahamas Competent Authority has communicated effectively to keep its partners informed.